Built 1889-1890. Opened 14 Aug 1890. 1994 major restoration. Used for opera, musical and other performances, and for classical and popular concerts. 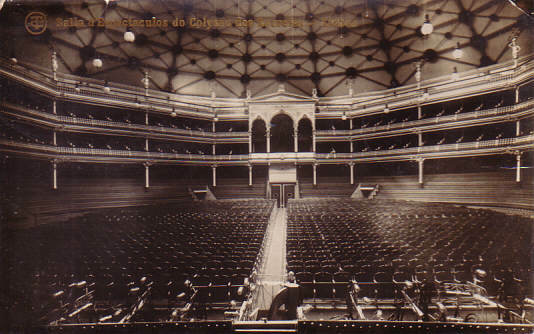 Front Text: "Salla d'Espectaculos do Colyseu dos Recreios - Lisboa"